Whether you’re in the wiregrass section of the East Gulf Coastal Plain, or the fertile limestone valleys of the Appalachian Ridge, Alabama debt relief programs are available. 40% of consumers in Alabama are behind on monthly debt payments, compared to 33% of the population nationwide. Most Alabamans are unaware of how debt relief even works. There are easy ways to get out of debt. However, if nobody ever told you about these debt relief options, that lack of knowledge is what’s preventing you from achieving financial freedom. Golden Financial Services moved into Alabama back in 2004, to educate consumers on Alabama debt relief programs. Since then, the company has maintained an A+ BBB rating, was awarded “#1 Rated debt relief company by Trusted Company Reviews”, is IAPDA Certified and helped millions of Alabamans become debt free. The truth is, banks and credit card companies will often hide your best debt relief options from you. Have you ever gone in the bank and spoke with a manager at the bank, and they whisper to you, “hey, I know this program that can help you get out of debt.” Or, “hey, I know this licensed credit repair company that can fix your credit, take this phone number.” And then they hand you the phone number to a debt relief or credit repair company. Here at GFS, we get hundreds of phone calls from consumers like this, who were referred by someone at the bank, on the “DL” (for down-low). Bankers are not supposed to refer you to a debt relief program. Alabama Debt relief programs reduce your debt. Sure, you save money, but the banks lose money. Banks are not in the business of helping people get out of debt, it’s just the opposite, their goal is to keep you in debt for as long as possible … it’s how they make money! Sound fair? Or, are you ready for a change? The following statistics illustrate the percentage of consumers with debt collection accounts, per county. It’s hard to believe that all of these people are behind on their bills, but these are the facts. And you are not alone! Right after these statistics, you’ll see all of Alabama’s best debt relief options for 2018 and 2019. Your dream of becoming debt free will soon be your new reality. 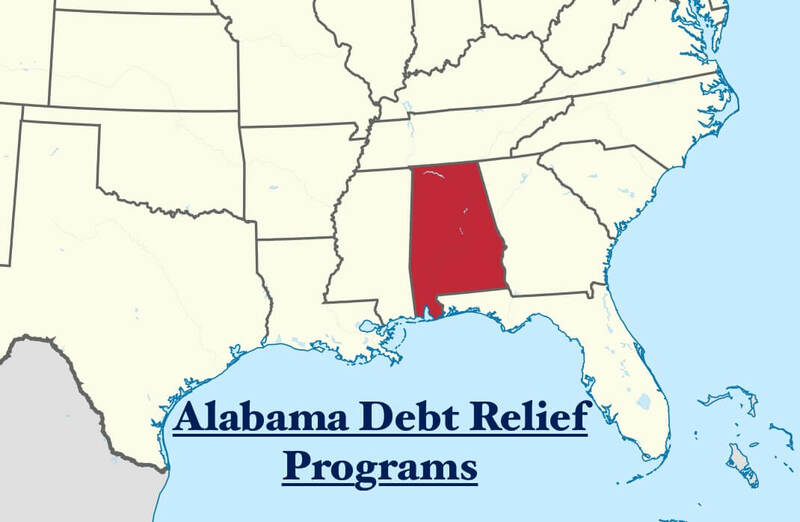 At any time, Alabama residents can call Alabama Debt Relief Now at (205) 216-2836! 28% of consumers in Baldwin County have debt collection accounts. 29% of consumers in Shelby County have debt collection accounts. 30% of consumers in Coffee County have debt collection accounts. 31% of consumers in Elmore County have debt collection accounts. 33% of consumers in Lamar County have debt collection accounts. 34% of consumers in Autauga County have debt collection accounts. 34% of consumers in Henry County have debt collection accounts. 54% of consumers in Wilcox County have debt collection accounts. 55% of consumers in Macon County have debt collection accounts. 57% of consumers in Dallas County have debt collection accounts. Learn the Easiest Way to Get Out Of Debt! Avoid High-Interest & Payments. IAPDA Certified and Accredited & Better Business Bureau A+ Rated AL Debt Consolidation Company. You start off with a free consultation with one of our IAPDA Certified Alabama debt relief specialists. IAPDA stands for International Association of Professional Debt Arbitrators. Reputable debt settlement and consolidation companies in Alabama are all members of this organization. The IAPDA makes sure that your debt specialists are highly trained and operate correctly. If you have student loan debt, we will transfer you to a student loan relief certified professional. All of our student loan relief professionals are approved and accredited by the Association for Student Loan Relief. This organization trains our student loan relief experts on the different laws and the newest regulations. You will get a free credit report. We will review your credit report with you. We need to see what creditors you have, the balances and payment history. On our end, we will plugin your creditors’ names and all of the information into a password encrypted software that will give us all of your options within 60 seconds. Your private data remains safe and confidential in this debt relief software, and will only be accessed by Golden Financial Services and the debt relief experts helping you to get out of debt. Your monthly payment options will be presented to you for each plan. Whichever program you qualify for, will offer flexible monthly payment options. You can pick a 2-year program, 3-year program and even a 12-month program. Your new monthly payment all depends on how fast you want to get out of debt, but you get to make a choice based on what suits you best. We will go over exactly how each program works, including the benefits and downsides of each plan so that you can intelligently pick your best option. You get approved or denied for the program at this point. 9 out of 10 times if you’ve made it this far you will get accepted. Our professionals at Golden Financial Services do a phenomenal job at pre-qualifying and getting clients approved for the right plan. Your monthly payment won’t start for up to 2-3 weeks out, depending on when you last paid your creditors. You get immediate relief now that your payment has been reduced and are on your way towards financial freedom finally! Will Alabama debt relief programs hurt my credit? Each debt relief program will have a different effect on your credit score. The debt relief programs in Alabama that don’t pay your creditors on a monthly basis will hurt your credit. On the flipside, plans like consumer credit counseling and debt consolidation, where your creditors continue to get paid each month, don’t hurt your credit score. To understand how debt relief programs affect your credit visit this page next. What type of debt qualifies for Alabama Debt Relief, Settlement, and Consolidation Programs? Any type of debt can be resolved with one of the new Alabama debt relief programs offered by Golden Financial Services. Debt collection accounts can be disputed on a debt validation program or settled for less than the full amount owed with debt settlement services. Consumer credit counseling in Alabama is specifically for credit cards with high-interest rates. Alabama debt consolidation is available for federal student loans. 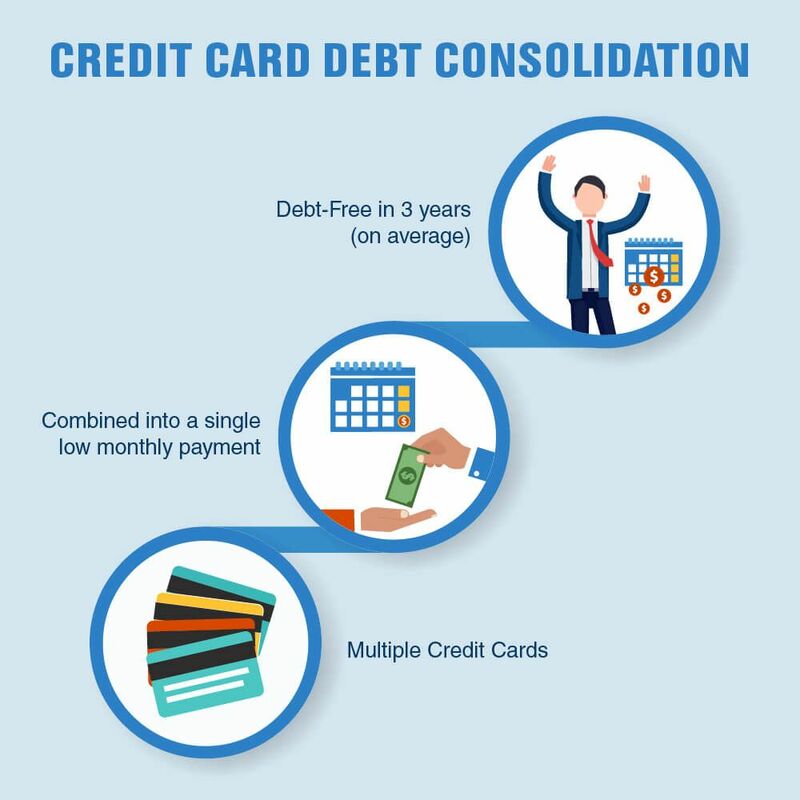 Call 866-376-9846 to learn more about Consumer Credit Counseling and Debt Consolidation for Alabama residents. There are several Alabama debt relief, settlement and consolidation programs to pick from. Yes, it can be confusing trying to figure out what the right debt relief option is, but that is why Golden Financial Services is in business. We can ease your concerns, answer your questions and allow you to make intelligent financial choices. What’s different about Golden Financial? We can enroll you in the right program if you’re eligible and if the program will allow you to accomplish your goals. What can debt relief programs do for Alabama residents? Simplify and consolidate payments into one affordable payment. Improves financial health and increases monthly cash-flow. Lets you know how many months are left until you’re debt free. Dispute inaccurate marks on credit through the credit repair program. Reduces balances by up to 40% with fees included. Alabama residents can become debt-free in under 3.5 years, versus 5+ years on their own! Your total balance can be reduced by around 60%, before fees. If you owe $10,000 on a credit card debt, your debt negotiator can reduce the balance down to approximately $4,000 to $5,000. After adding in the debt settlement company fee, you end up paying only around 70% of your total balance. On top of saving around 30% on your balances, you will be saving additional money by not having to continue paying interest on your credit cards every month. While on a debt settlement program late fees and interest may accrue, but when it comes time to settle your debt the past due charges and interest get mitigated into the settlement. You will get a confirmation letter from each creditor showing your balance is $0 after a debt is settled. The amount of debt that gets reduced is forgiven and wiped clean. Are you considering debt settlement? Alabama residents are eligible for a free consultation with an IAPDA Certified Debt Counselor. Credit card debt consolidation in Alabama is a very popular option, but only for consumers who have a high credit score. Student loan debt consolidation in Alabama is available for anyone in the state that has federal student loans. You don’t need to have a high credit score to consolidate your federal student loans. Alabama residents are eligible for a free consultation from a student loan specialist. Our student loan experts are all certified and accredited by the Association for Student Loan Relief (AFSLR). Here at Golden Financial Services, our Alabama debt relief specialists are all certified and accredited by the International Association of Professional Debt Arbitrators. What program in Alabama will reduce my interest rates and consolidate the payments? Alabama consumer credit counseling will reduce credit card interest rates. One affordable monthly payment will take care of all your credit card debts. The consumer credit counseling company will pay your creditors every month out of the payment, but with less interest. You get out of debt faster when paying less interest. Need consumer credit counseling? Golden Financial Services can transfer you to a non-profit consumer credit counseling company in Alabama, one that we work with and trust. You dispute a debt through the credit reporting agencies, like Experian and Transunion. The credit reporting agencies will then contact your debt collectors and request proof of the debt. If the debt collection company fails to provide the credit reporting agency with proof of the debt within 30-days, the debt and it’s associated negative marks will be removed from your credit report. The debt collection companies will often get these disputes and ignore them. Over a $100 debt, often they don’t even want to bother trying to put all the documents together that a credit repair company is requesting. If the debt collection company ignores the dispute, within 30-days, the credit reporting agencies will remove the debt from your credit. Debt validation is dealing directly with the debt collection companies, but credit repair is dealing with the credit reporting agencies. Step one: Dispute the debt until the debt collection company can’t prove it to be valid. A speeding ticket can get dismissed right? With debt, the process is similar. When an attorney is disputing a speeding ticket at court, eventually, the police officer will either fail to produce a document, did something wrong, or provides inaccurate material. The speeding ticket then gets dismissed. With debt, the process is similar, but there are more laws to use in a dispute. Step two: Once the debt is proven to be invalid and becomes legally uncollectible, now the credit repair can dispute it on the credit report. Alabama debt validation companies will dispute a debt for you. The debt collection company will have to provide items including the original agreement that you signed, a full accounting on the debt, their debt collector license. And these are just a few examples. A debt validation company will send the debt collection company a declaration that may have 50 questions on it. A debt collection company must answer all of the 50 questions in the declaration to prove that they are legally authorized to collect on a debt. The answers they provide in the declaration will act as the evidence to whether or not a debt is valid. Debt validation laws are powerful. These laws give consumers the ability to question a debt before paying it. After requesting debt validation, if creditors try to continue collecting on the debt before validating it, they are violating your consumer rights. You can sue a collector after they violate your consumer rights. If any information is inaccurate and records are missing, your debt becomes legally uncollectible. A legally uncollectible debt is on that you DON’T HAVE TO PAY. Talk to an Alabama debt relief expert now at (866) 376-9846.